The mudslide near Darrington, WA was about 1 1/2 hours from here. It was where my grandparents lived much of the time they were raising their younger children. Many people are still missing and our prayer is that they were not there and since Darrington lost power for days, perhaps they just haven’t been able to report their whereabouts. Our prayers are with those who have lost loved ones in this ordeal. Here is where you get to see my cooking mistakes as well as wonderful successes. At lunch I failed to bake the wraps to crisp state BEFORE putting pizza toppings on them. So we ate them folded over with a fork. They still tasted good. 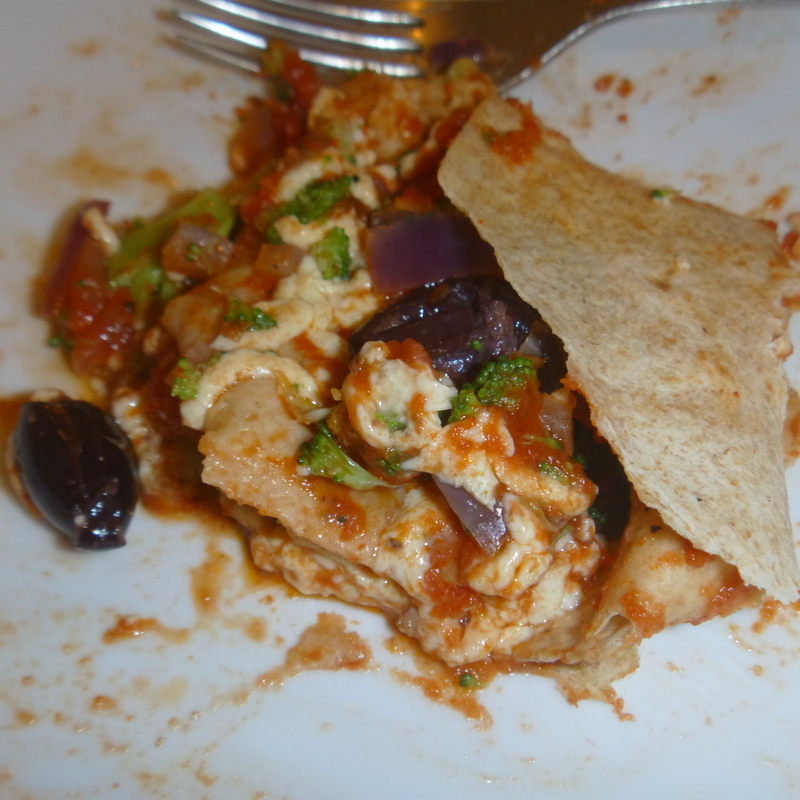 Tonight I crisped them (about 8 minutes in the oven) before putting the tostada toppings on and they were even better. The past week has had it’s share of trauma and depression so I needed something really cheery with which to work. This yarn somehow found it’s way into my yarn bin a few years ago. I think it has been there for so long, because I didn’t really think I would wear these colors. 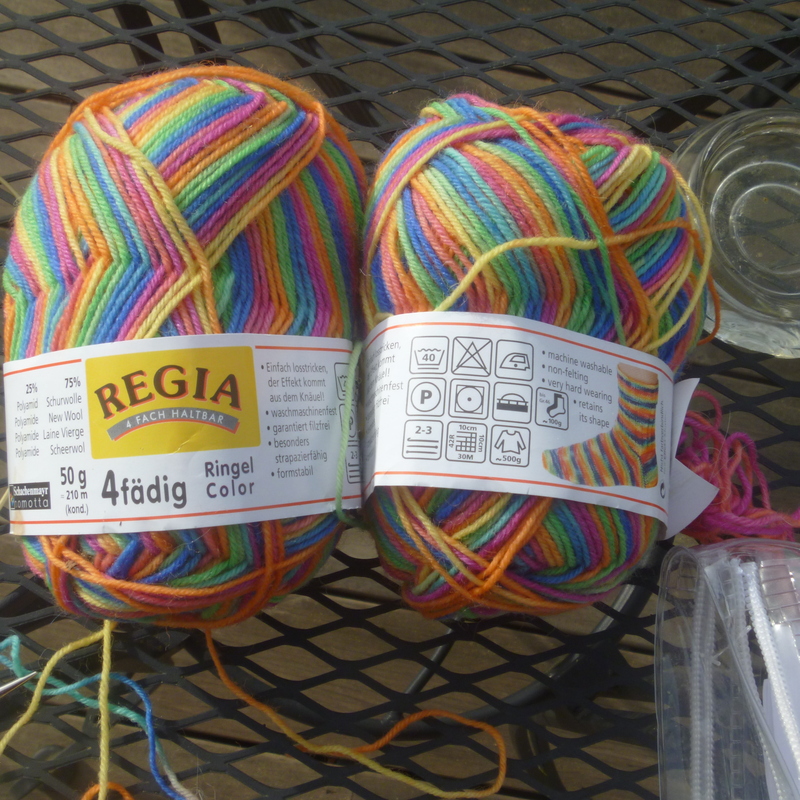 I don’t even remember buying the yarn. However, because of happy colors, I pulled it out. It is just so much fun to knit these sherbet colors, that I’m having trouble putting them down. They look so much prettier knit than in the ball. These socks are cheery and I will definitely be wearing them. I am using a Christine Pike pattern which you can find by double clicking the red. 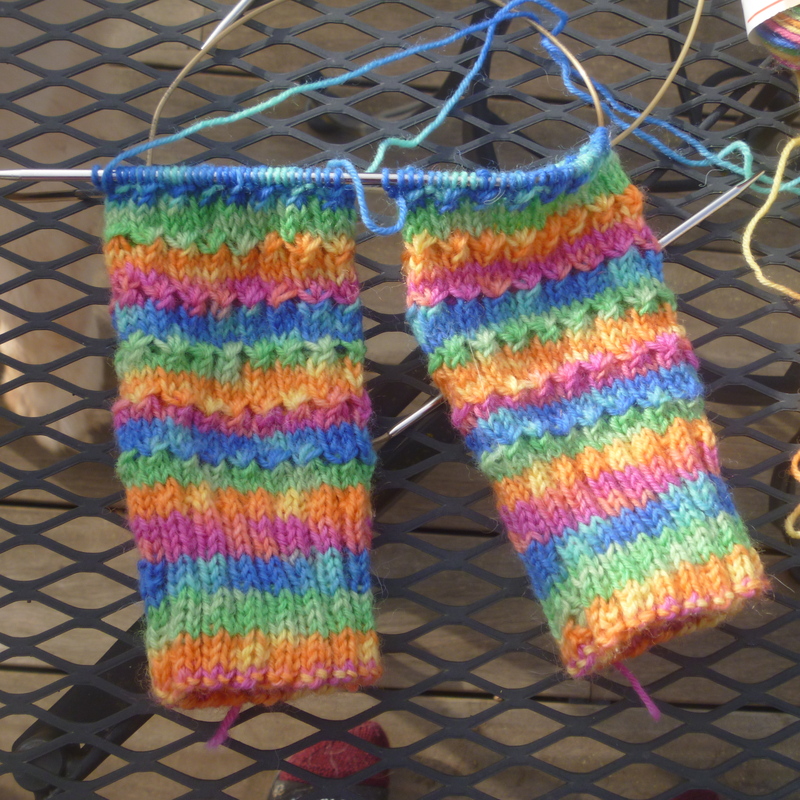 It’s a fairly easy pattern, so if you already knit socks you might want to give these a try. Love the cheery socks, wish I could knit. I’ve been keeping up with news on mudslide, so sad. Have been saying prayers for the people. And we are having a lot more rain. We may see more slide before this is all over. We have a pond where we’ve never before had one. And if you really would like to knit, there are lots of youtube videos – enough that you could learn if you’re willing to try something more simple first.